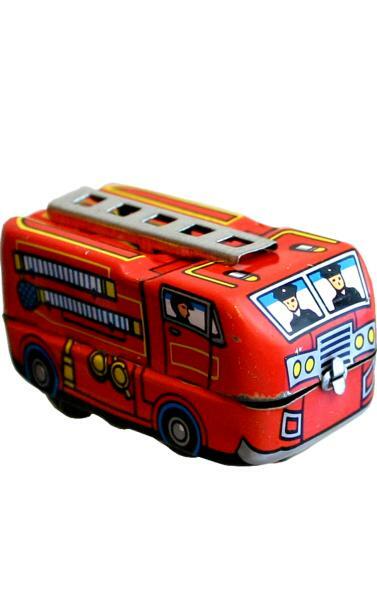 MS261 - Collectible Tin Toy - Fire Chief - 1.25H x 2.5"W x 1.5"D"
Tin wind-up "Ladder" style truck - Made in China. Recommended for adult collectors. MF146 - Collectible Tin Toy - Volkswagon - 2.25"H x 4.75"W x 2.25"